Congratulations! You’ve purchased your first Mac! Either you came over from the World of Windows, purchased a Mac, or were lucky enough to either be gifted one or received a hand-me-down. In any case one question comes to mind – How do I run the iThing? Well, you’re in luck. 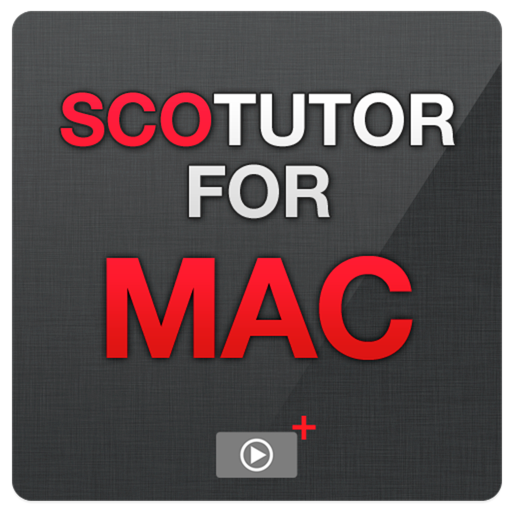 Don McAllister, the prolific producer of ScreenCastsOnline has taken a bunch of his tutorials and bundled them into several apps (SCOTutor for Mac, SCOTutor for Lion, SCOTutor for iPhoto on iOS, and SCOTutor for iPad). “If you’re new to the Mac or a recent Mac switcher, learn everything you need to know to get you up and running with your Mac, quickly and easily! OK, let’s see what we can learn. Simple. Go to the App Store and download the app. It has it’s own self-contained player with all the usual controls – play, pause, volume, back and forward, plus 30 seconds forward or back. You have the option of viewing in letterbox or full screen. It also works with AirPlay, so you can watch it via your AppleTV. The topics are broken into roughly a dozen chapters, each with their own collection of sub-chapters. The response time for jumping between chapters or sub-chapters is extremely fast because of its own player. 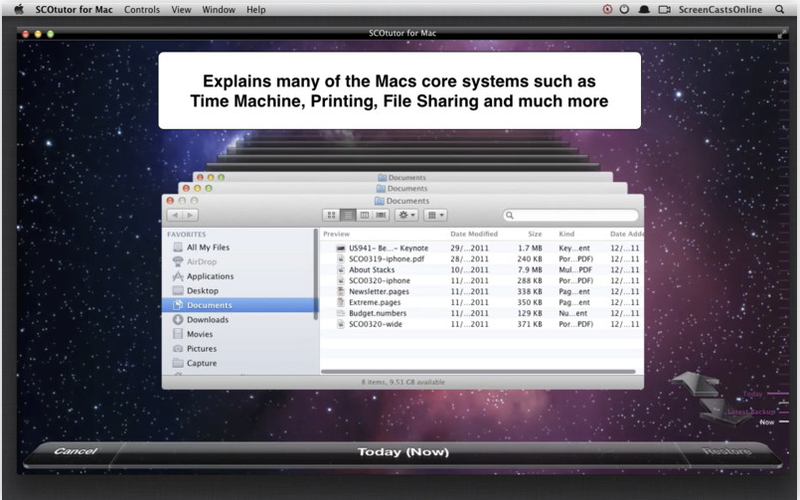 If you’re new to the Mac, this is a no-brainer. I’m a big fan of Tonya Engst’s Take Control eBook series which covers many different categories from software to back-up strategies. But there is nothing like someone sitting next to you and actually showing you how to perform actions on your computer. And there-in lies the brilliance of these apps. 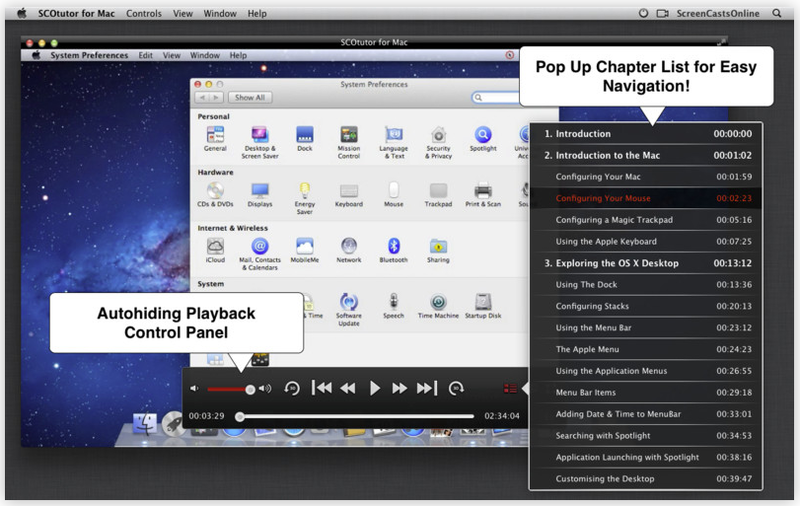 Instead of translating instructions into actions, SCOTutor for Mac presents you with a full desktop screen, on which Don performs all of the functions. If you’re new to the Mac (or even more so, computers in general), you’ll find this method extremely intuitive. And here’s a tip. If you should be lucky enough to have an iPad, as well, download the iPad version leaving your Mac free to follow Don’s instructions. Nada. I repeat – NADA! So, if you’re a burgeoning fanbois, this app is the answer to your prayers. You’ll be up and running in no time. And if you’re a veteran fanbois, Don always finds several little gems that you probably weren’t aware of. Simpler to use than a Mac. This entry was posted on Wednesday, May 23rd, 2012 at 5:02 pm	and tagged with Mac software, tutorial and posted in Reviews. You can follow any responses to this entry through the RSS 2.0 feed.